Chris Astor is a man in his early forties who is going through the toughest stretch of his life. Becky is Chris's fourteen-year-old daughter, a girl who overcame enormous challenges to become a vibrant, vital young woman - and now faces her greatest obstacle yet. Miea is the young queen of a fantasy land that Becky and Chris created when Becky was little, a fantasy land that has developed a life of its own and now finds itself in terrible, maybe fatal trouble. Together, Chris, Becky, and Miea need to uncover a secret. The secret to why their worlds have joined at this moment. The secret to their purpose. The secret to the future. It is a secret that, when discovered, will redefine imagination for all of them. 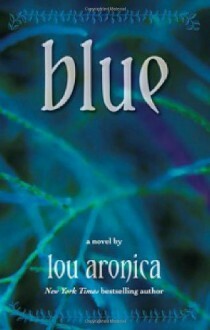 Blue is a novel of trial and hope, invention and rediscovery. It might very well take you someplace you never knew existed.